Last year, I took a vacation to Spain and traveled both in Madrid and into Andalusia, in southern Spain. I had a chance to get to know Spanish food and Spanish culture – and came back home knowing that I wanted to visit the country again. Thanks to a good airfare sale, I was able to get back to Spain this year. 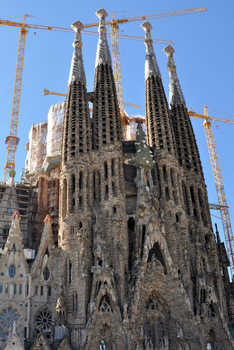 This time around I visited a completely different part of the country: Barcelona. At the heart of Catalonia, Barcelona is almost like a different country when you compare it to some parts of Spain I visited before. It’s a vibrant city with their own language, their own traditions and even their own foods. Since the end of Franco’s era in Spain, there has been a huge resurgence of pride in all things uniquely Catalan as opposed to things that are traditionally “Spanish,” including an increased emphasis on teaching Catalan and Catalonian history in schools. The region was also the birthplace of the biggest food revolutions of the modern age: molecular gastronomy. Of course, you don’t need to have eaten at the now-closed El Bulli to appreciate the impact that it had on food. 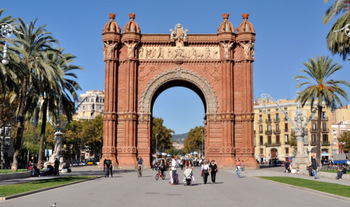 The food in Barcelona is fantastic and it’s a wonderful place for a little food tourism, as well as a place to visit museums, tour modernist architectural wonders, watch one of the best football clubs in the world in action (FC Barcelona) and relax on the beach. 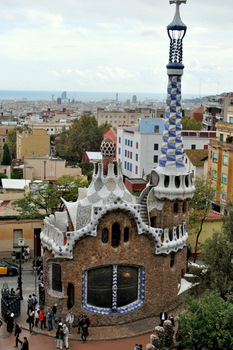 Gaudi’s Sagrada Familia and a guard house at Parc Guell. 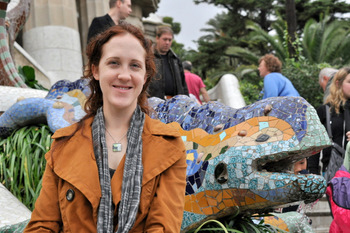 I’m pictured above with Gaudi’s dragon, which marks the entrance at the Parc. 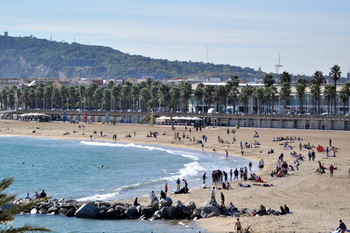 Barcelona Coast, one of the busiest cruising ports in the Mediterranean. Watching FC Barcelona beat Mallorca 5-0 at Camp Nou, one of the largest and most impressive sports stadiums in the world. It was a sold out crowd and the stadium seats just under 100,000 fans. 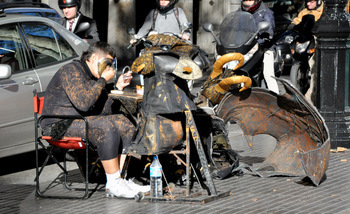 A street artist getting ready for a day of performing on Las Ramblas. 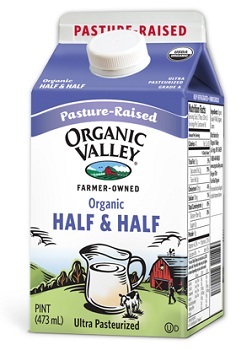 Previous PostPrevious What is half and half? My brother went there last year and loved it. Hope you are having a great time! Thank you for your wonderful words about our city, it’s a great honor to receive your report on your holidays in Barcelona. Very timely, since we’re planning a visit in March! 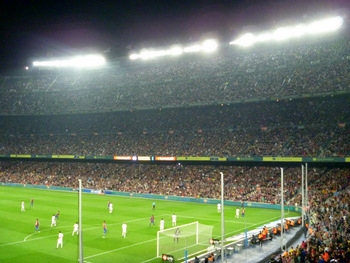 Did you get your tickets to Camp Nou when you were there, or could you order them in advance?